The Wood County Junior Livestock show was held April 4-6 at the QISD AG Pavilion located behind Quitman Junior High/High School. Thursday and Friday were judging days; Saturday was auction day. The auction began at 10:00am on Saturday morning. Mr. Jerry Jackson started the morning off with a general welcome to all in attendance. 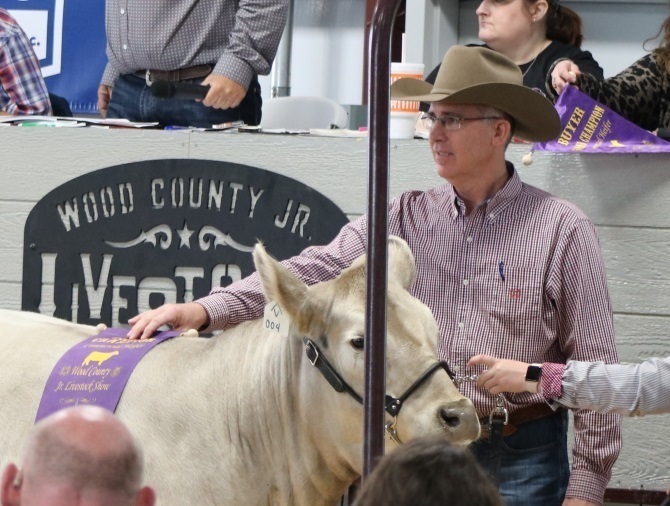 Superintendent Rhonda Turner shared a brief history of the Wood County Junior Livestock show and recognized a few of the individuals responsible for making the show a success. Auctioneers, and long time supporters of the WCJLS, Shannon Davis (seated) and Kelly Conely (standing) starting the auction. Potential bidders, participants, and spectators enjoying the auction. 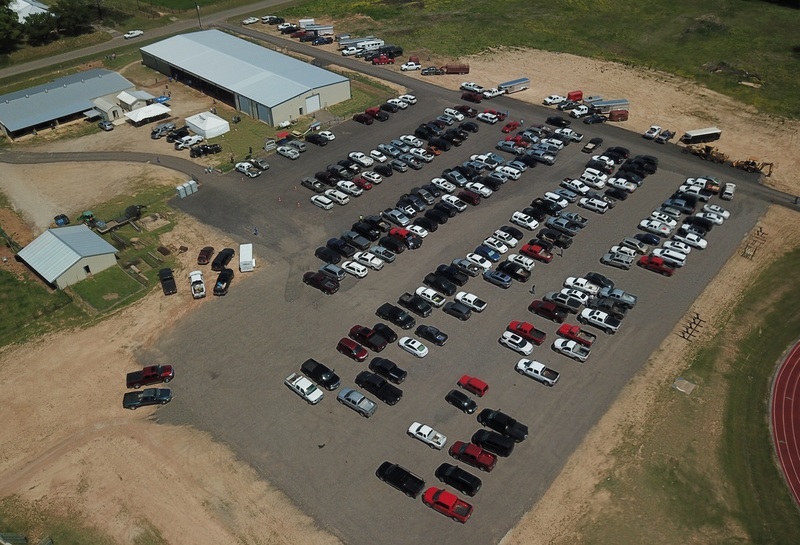 Overhead view of parking lot and facilities. Josh Medlin - 4th Place Charcoal Grill.